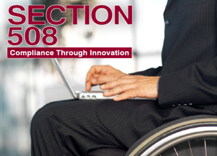 As a pioneer in advanced distributed learning, CTC implements and enriches professional learning experiences by exploiting a system of systems methodology, open architecture standards, sharable learning object technology, and international learning standards–delivering training transparency across an enterprise. We have decades of experience creating standards and evolving digital learning and human performance solutions, and expertise with numerous learning management systems, authoring tools. We also work with leading-edge technologies such as eLearning cloud solutions, experience application programming interface (xAPI), repositories and registries, user profiles, augmented/virtual reality, game engines, and more. Cognizen puts the power of e-learning development in the hands of the content creator to create content for Distance Learning, Micro Learning, Mobile Learning, and Shared Note-taking in a common, shared, open source, collaborative environment. Cognizen is an online, collaborative, open source content authoring environment that can produce interactive and engaging eLearning that supports SCORM (1.2 and 2004) specifications and 508 accessibility compliance. 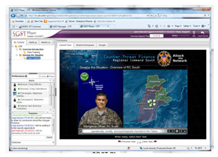 Our small group trainer application has supported multiple combatant commands and is a next-generation learning environment for online/on-demand scenario-driven training, mission planning and rehearsal, and course of action analysis for individuals and teams. This application allows for reusable and flexible scenario creation, real-time remediation, learning content navigation and tools for creating avatar-delivered performance support to stimulate critical thinking and learning. 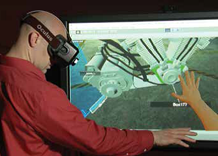 At CTC’s Mixed Reality Lab, researchers conduct tests and construct prototypes using the latest in virtual and augmented reality devices and software. The outputs from this process are used to help develop new client programs, innovate within existing programs, and improve the mixed reality knowledge base by publishing peer-reviewed research and presenting at industry conferences.